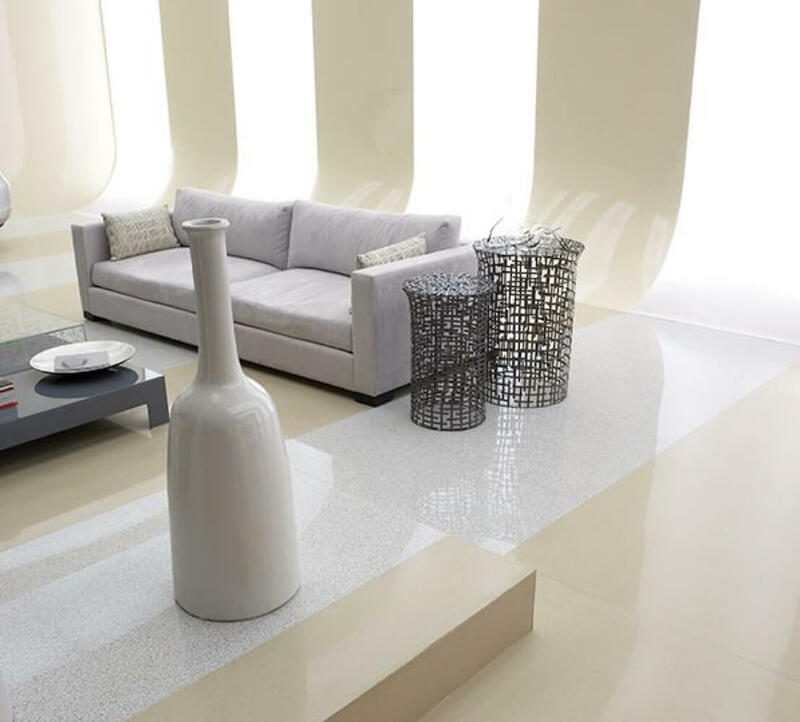 Trend Q is a series of terrazzo-like engineered stone tiles and slabs. The material is composed of approximately 93% "grit" or chips and 7% pigmented polyester resin. 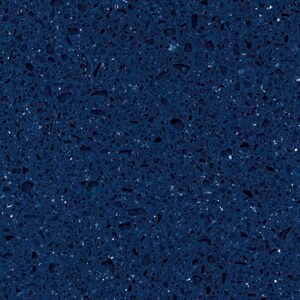 The grit, which is comprised of either quartz, granite, glass, or mosaic, is crushed into nine different granule sizes. These granules are mixed with the pigmented polyester resin and spread on a large sheet mold where the slab takes its shape. After finishing the surface to a high polish, the slab is fitted with a mesh backing and is either left intact or cut into tiles. Comprised of at least 58% recycled material, this color meets the requirements set by the LEED building rating system and may be used to earn LEED MR Credits 4.1 and 4.2. Read the technical detail information on the Trend Collection Overview page.